Global Fest – Fight for the [Royal Wonder Statue]! Guild Fest is almost here! But this time, there is an added twist… Guilds will be competing on a global level! Clash against 140 million Lords and Ladies from all around the world! Which guilds will emerge victorious in our first ever global Guild Fest? The top 3 guilds will win one [Royal Wonder Statue] per guild! It’s a war without any bloodshed, and one to prove your guild’s superiority above all others! Rally your guildmates and take on the world! This Guild Fest will have a World Ranking Board. This Ranking Board will be refreshed every 5 minutes. Please refer to the actual results on the Ranking Boards for the final rankings. If guilds have the same amount of the points, the guild that achieved the points earlier will be ranked ahead. To help facilitate prize distribution, please refrain from changing Guild Leaders during the event. After the event ends, Guild Leaders of the winning guilds will be contacted to provide accurate shipping information in the designated event page. Prizes will be sent out within 30 working days after the event ends. 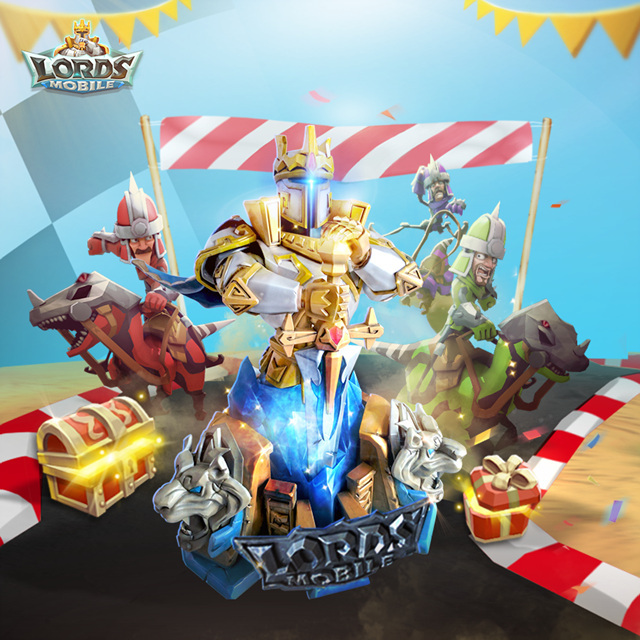 The Lords Mobile team is not responsible for any loss of prizes due to incorrect or late submissions of shipping information. This event is covered by the [Terms of Service] (Gear button – Help – Terms of service). The Lords Mobile team reserves the right to final interpretation of this event, its rules, and its rewards. Next Next post: [Video Guide] How to hide more troops than just by shelter or reinforcing!